For the first time ever, an album exclusively of Tyler's songs. 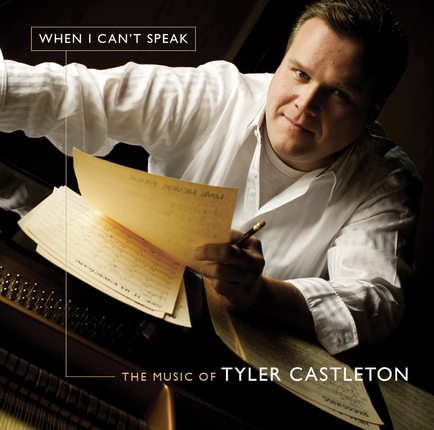 After nearly 2 decades of writing, producing and arranging music for some of the industry's top recording artists and performers, Shadow Mountain Records and Deseret Book is excited to announce the release of the first album ever of Tyler Castleton's music - "When I Can't Speak: The Music of Tyler Castleton." This 17 track collection album includes some of Tyler's most requested songs, performed by the most beloved voices in LDS and Christian music. The album also includes brand-new songs, performed by Tyler, as well as newly recorded versions of popular, previously released songs. 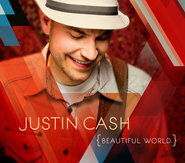 Featuring the talents of Gladys Knight, Hilary Weeks, Jericho Road, Jenny Phillips, Kenneth Cope, Cherie Call and many others, Tyler is thrilled to be able to feature several of his co-writers through the years (including Staci Peters, Lowell Alexander, Cherie Call and others) on this project. Listen to an interview with Tyler Castleton from The Cricket and Seagull Fireside Chat. Tyler Castleton has written songs for more than a hundred recordings of an impressive lists of artists. In addition to his songwriting success, he is well-known in the industry as an accomplished music producer and arranger. All of this hard work has resulted into creating award winning albums. He has left a legacy behind with every project that he has pursued including serving as Director of A&R for Shadow Mountain Records. As well as working for a prestigious array of clients as a film and TV composer including National Geographic, Animal Planet, and ABC Monday Night Movie. He has had vast experience in live production including work for the 2002 Olympic spectacular Light of the World. Tyler began his musical training at the age of seven and since then has left lasting impressions on anyone who has heard his countless work. Beautiful music, meaningful words. As others have said, you can really feel the spirit. 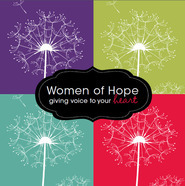 Calming, soothing, beautiful songs of spirit and of love. I think the songs are lovely and inspirational. We need more good music like this. Tyler, there are too many suspensions and not enough interesting chord progressions to add greater variety to the sound. Dig deeper and keep writing. You will grow as a composer/lyricist. The music on this cd is great! We have it in our car and listen to it all the time. It's very calm and relaxing. You can feel the Spirit through these songs. I love it! Whether or not you’re familiar with Tyler Castleton’s work, you will absolutely love this album! The songs are not only beautiful, but speak to hopes, dreams, fears, disappointments, and questions all of us have. I’ve been going through some difficult things in my life recently and I’m working on healing, making some big decisions. I couldn’t have asked for a better collection of songs to speak straight to my heart and give me courage, comfort, and clarity for my life. And hope. Lots of hope. Thank you, Tyler, for writing exactly what my heart needed to hear. I’m telling everyone I know to buy this CD!!! !